Here in the midwest we have been seeing warmer temperatures, consistently. Hello Spring! This also means there are plants and flowers EVERYWHERE! I mean, when Target busts out their garden and patio stuff, you can’t just walk past it. With plants and flowers on my mind, I couldn’t help but think about the poor tree that has lived on our porch for years. Friends, it died this winter. I don’t know how it happened, but it did. That was THE ONLY THING I could keep alive. I always have good intentions every Spring to buy a bunch of flowers, plant them and make our porch and deck look pretty. But let’s be honest here, I don’t water them and sometimes I even forget they are there. 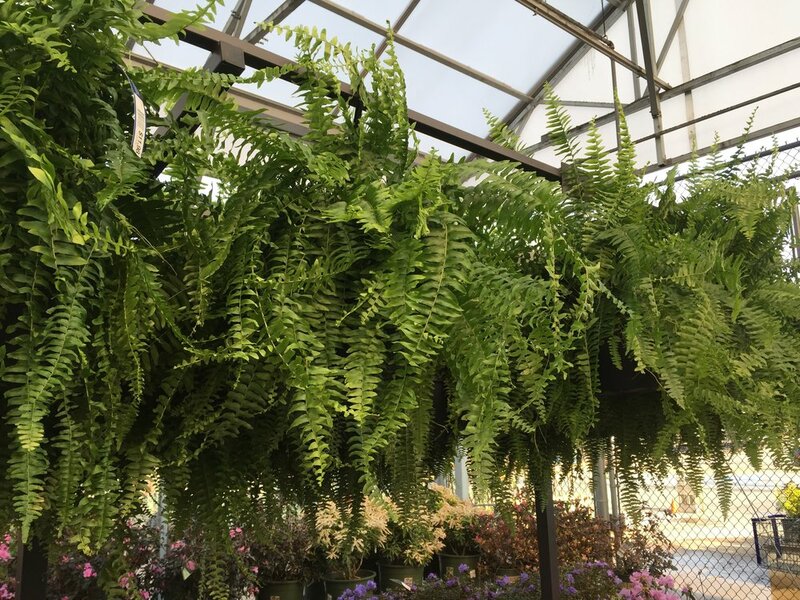 This year, I decided to buy some ferns. I read they are low maintenance, is this true? 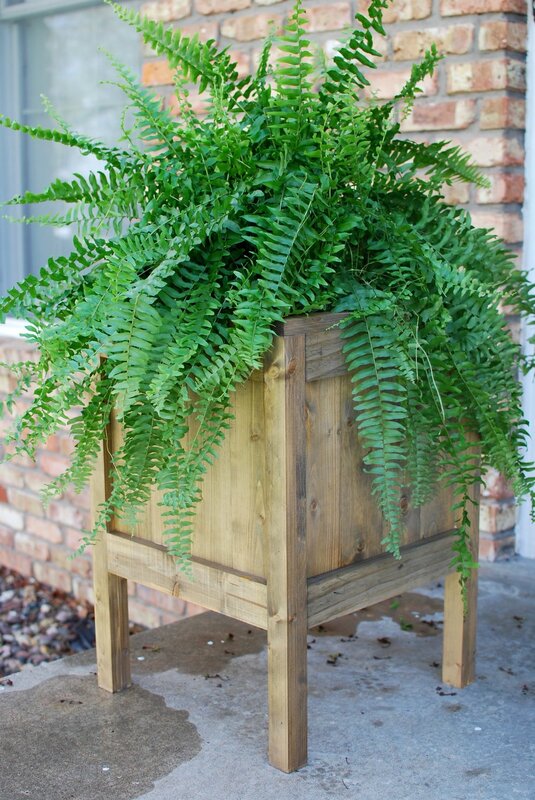 Besides that, when I searched Pinterest for some Spring projects, I saw a lot of ferns. So I went with it. 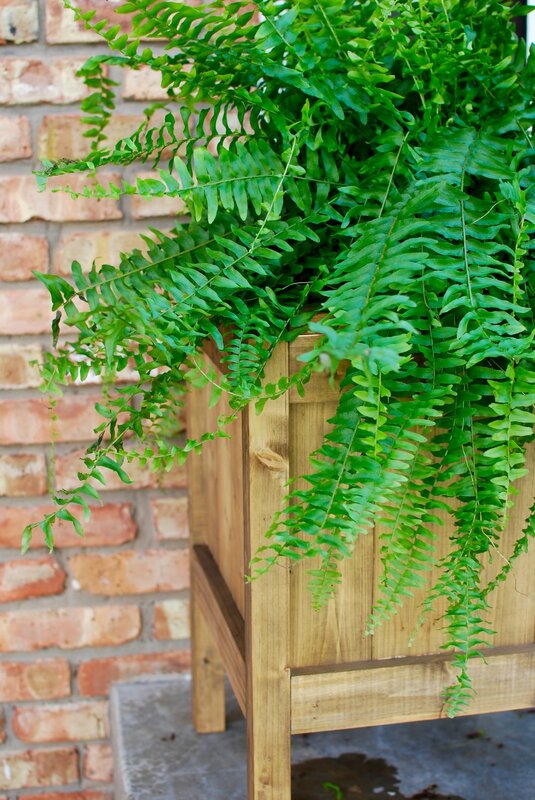 What better way to bring in the warmer weather than with a beautiful wood planter (for these plants that I will TRY to keep alive this year). 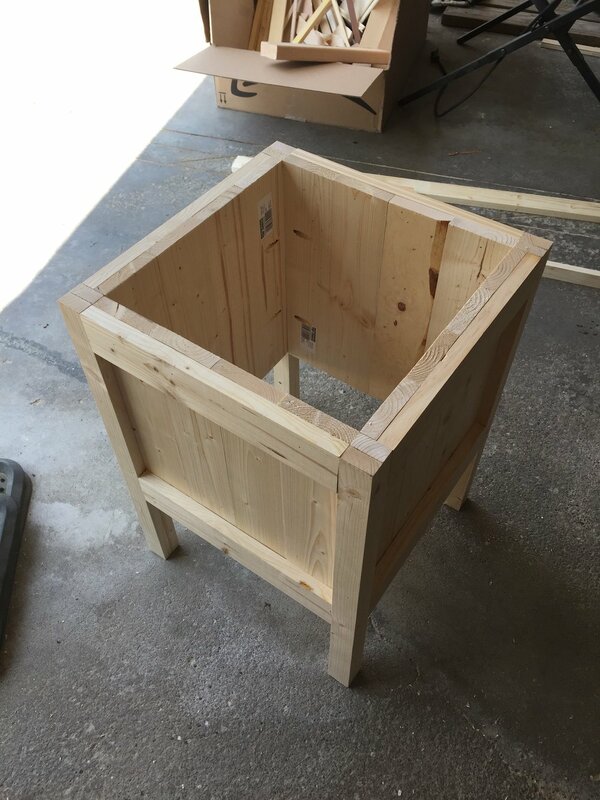 And friends, I built this entire planter for $20. And do you want to know the best part? It was super simple. I would rate this build a beginner level. Don't have time to build this now? That's ok - PIN it now and save it for later! STEP ONE Cut all boards to size. STEP TWO Make the planter side panels. 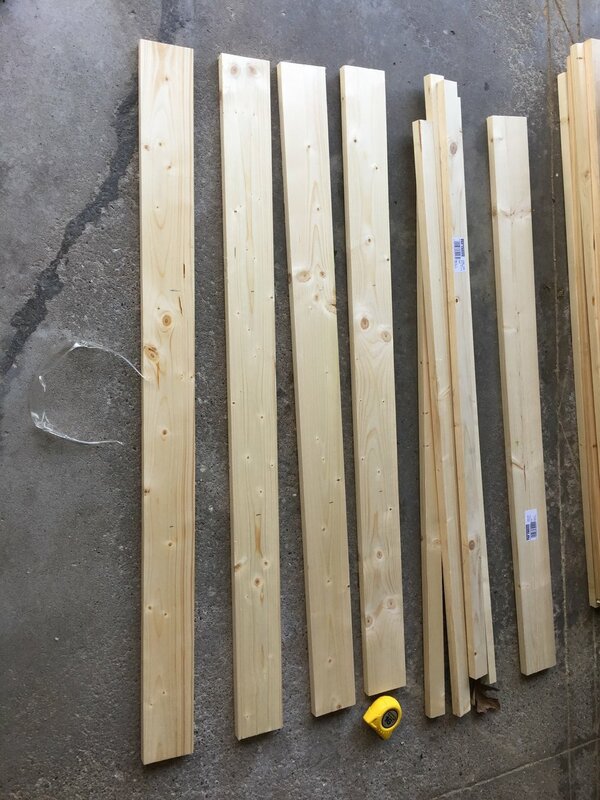 Glue the 4 1x4s together and nail the 1x3 on the top and bottom. I nailed the 1x3 on the front and back for extra support. STEP THREE Nail the legs together. Once the 1x2s are cut in half, nail the two pieces together to create each leg (4 legs total). STEP FOUR Drill pocket holes in the side panels. 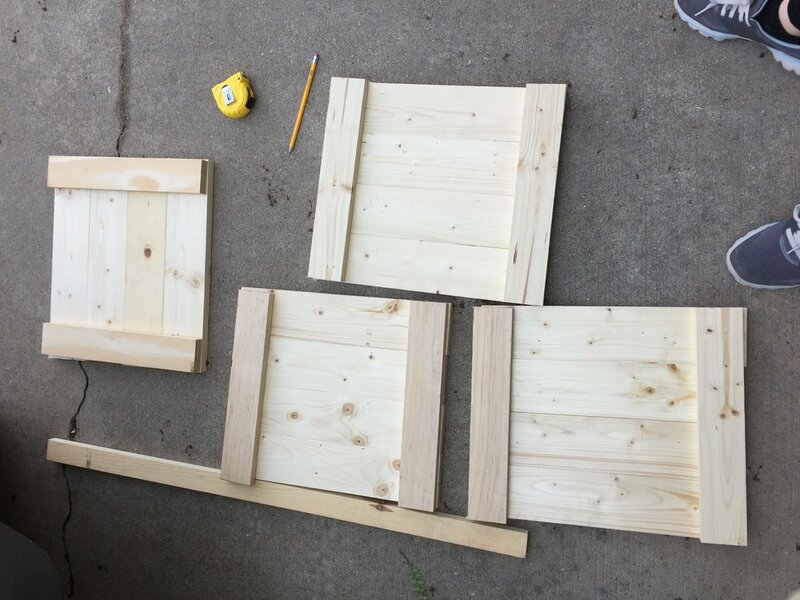 I drilled two holes on each side of the panels. STEP FIVE Attach the side panels to the legs. 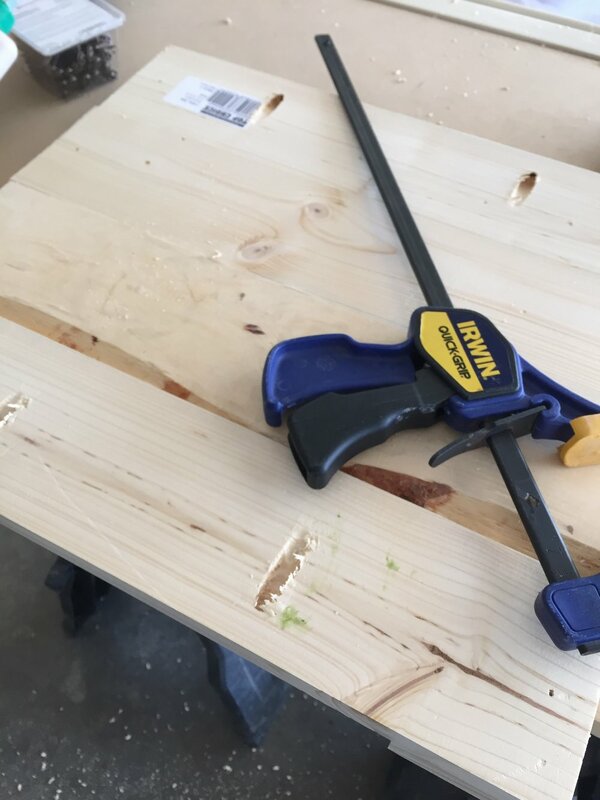 Use pocket hole screws to attach the side panels to the legs. I made everything flat on the top, but you could screw the side panels in at whatever height you prefer. STEP SIX Create 2 cleats and a ‘shelf’ for the plant. I used scrap wood (you could also use a 1x2) to create 2 cleats. 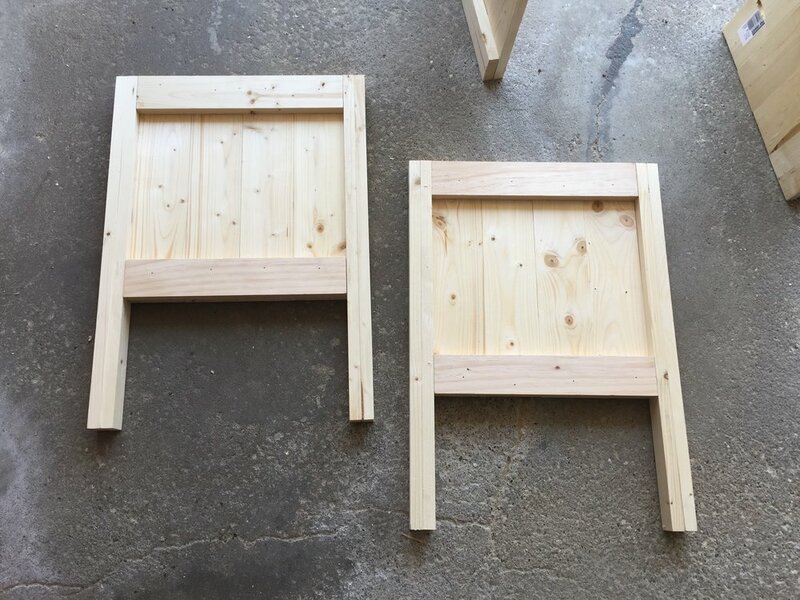 I then cut a few more pieces to create a ‘shelf’ for the plant to sit on and used the nail gun to attach these pieces. STEP SEVEN (Optional) Cut 4 pieces of 1x2 to size to trim the top of the planter. STEP EIGHT Stain and finish. Stain the wood however you’d like, then finish it with an outdoor finish. And that’s it! My porch will no longer have a dead tree, but rather a beautiful planter! I’m thinking about making more! Loved this post? Get more updates and tips sent right to your inbox, FOR FREE! Sign up with your email below. Sign up with your email address to receive tips and inspiration! Raised bed garden - it's not too late to plant! How to save $650 on a Pottery Barn knock-off bench! Homemade paper in 6 easy steps! 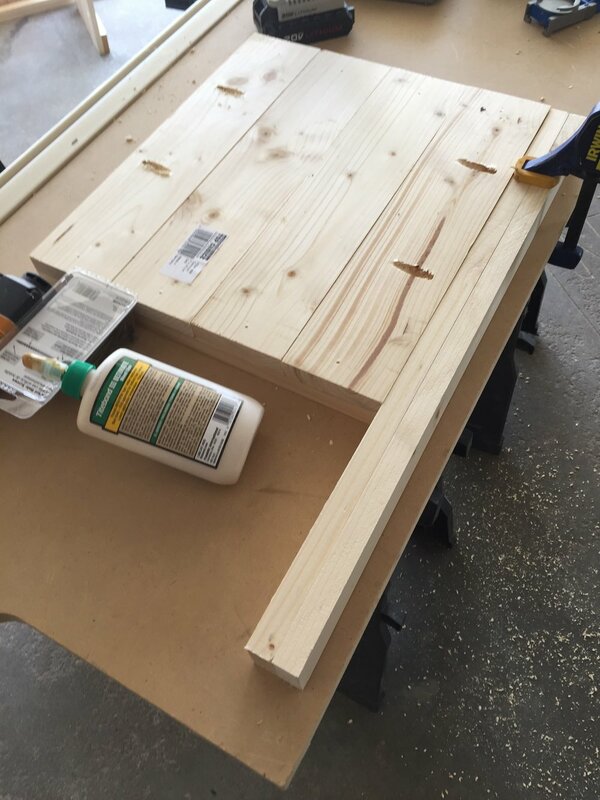 DIY Concrete Countertops, Part 3 - lessons learned. Photo to wood transfer in 6 easy steps! Newer PostHow to save $650 on a Pottery Barn knock-off bench! Older PostHomemade paper in 6 easy steps!